What Is The Best Duck Food? 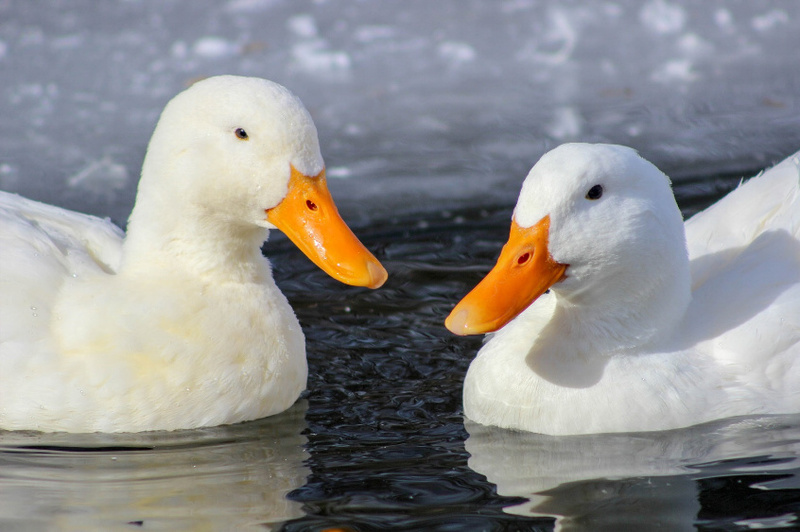 Ducks were once ineligible pets for most humans as people were interested in dogs or cats. Today, taking a duck as a pet becomes a common phenomenon. It’s due to the fact that ducks have performed a high degree of intelligent and socialization ability. 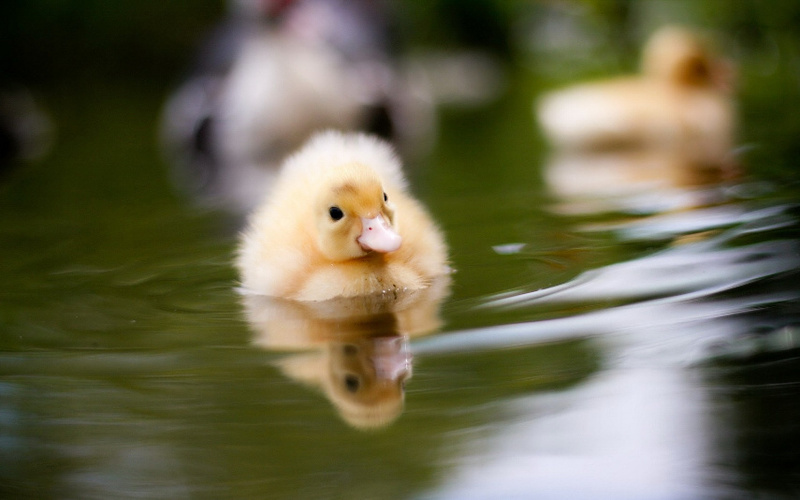 Once you decided to raise ducks, there are several factors you should pay attention in order to maintain their health and proper grows. What ducks eat for every single day actually play a key role in growing baby ducks to adult ducks. What do ducks eat is the basic question you should deal with when you’re petting ducks. A healthy diet of Duck Layer Pellets should be ensured in order to promote a quality life of ducks. Basically, domestic and pet ducks’ diet should be balanced and rich in nutrients and proteins. Any medicated foods are not recommended for your domestic or pet ducks due to imbalanced nutrient contents. Such foods can generate health problems for your ducks. Ducks don’t chew their foods as they don’t have any teeth, they drink the water to swallow the food instead. At this point, quality water should be the next main concern. High protein Balanced Duck Food are what your ducks need. Baby ducks which are in their growing stage will certainly require a higher amount protein. However, the diet should be proportional by keeping the percentage, any protein overconsumption can generate quick bone growth. A twisted wing is a common issue generated by overconsumption of protein. If you want your baby ducks having a healthy growth then you need to add more protein to their foods. The baby ducks should consume up to 20 percent of protein a day during the first three weeks. One thing should be noted that never feed your baby ducks without water which helps them to swallow the Duck Food and cleans the vents of the beak. 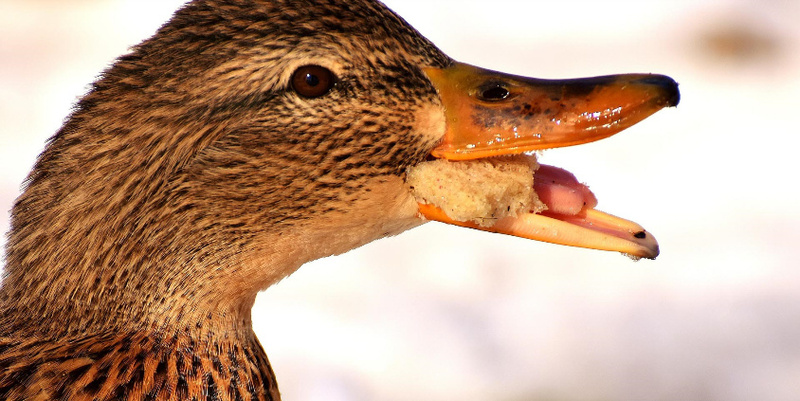 Waterfowl starter crumbles are suggested to support your baby ducks healthy growth. Avoid any bigger pellets as they’re hardly swallowed by the baby ducks, use smaller pellets instead. The chick starter can be optionally used, but you'll have to add Niacin at as it’s lack of it. You can also provide worms, insects, vegetables, or even fruits to treat your baby ducks. You'll have to ensure that your baby ducks have a full access to their foods at any time. You’ll have to change the diet after the first three weeks by decreasing the protein to 15 percent and calcium to no more than one percent. For another three weeks, you can provide grower food and make it available and accessible at any time. You can take the food away at night after six weeks. Duck Layer Pellets and grains can be collaboratively used to feed your adult ducks. Adding additional green food sources is recommended to avoid nutritional deficiency on your adult ducks but you need to avoid overfeeding them as well. You can add about another three percent of protein and calcium for ducks which lay eggs and it’s recommended to provide them Oyster Shell for Ducks as a supplement. Most duck feed manufacturers make the Duck Pellets from various ingredients including milled wheat, beans, oilseeds, and peas. The advantage of pellets is that the moisture, vitamin, minerals, and other nutrient contents have been regulated so you can maintain the proportion well. Avoid any feed products contain artificial and harmful materials.You can feed the adult ducks with grower pellets and add some supplements. As previously mentioned, you can feed your three weeks baby ducks with starter crumbles for chicks or ducks. It’s actually crushed form of pellets which already contains high protein. Ensure that you purchase non-medicated products and use the quality water to solve the crumbs so your baby ducks can easily swallow the crumbs. 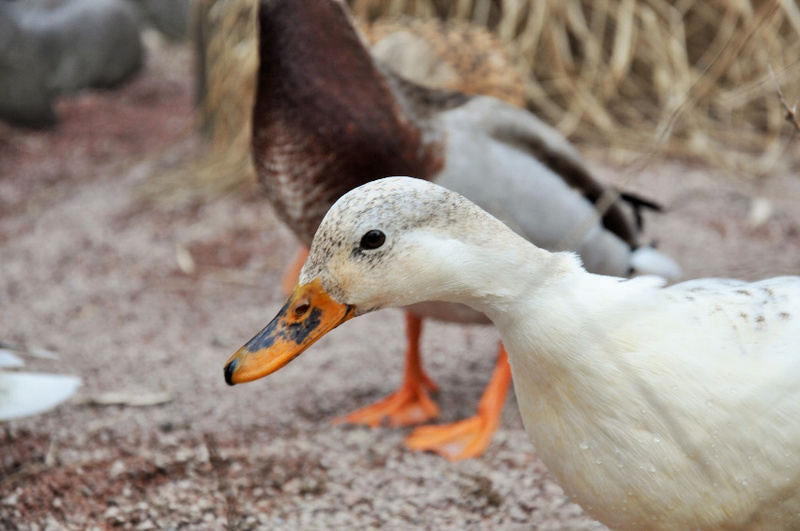 Corn, lettuces, and cucumber are highly recommended for treating your adult ducks. Use them at a smaller amount as they contain low nutrients. However, don’t feed your baby ducks with these ingredients, you can give them broccoli, cabbage, and carrots instead. Chop them into smaller pieces so your ducks can easily eat them. Other recommended treats for your ducks are fruits which are favored by the ducks. Tomato, apple, melons, pineapples, grapes, cherries, strawberries, peaches, are the common fruits that eligible for treating your ducks. However, you must be more selective in providing these ingredient to baby ducks, peaches and bananas aren’t recommended for baby ducks. Ensure that you feed your ducks with organic fruits only. You can also treat your ducks with snacks as which contain supplements and additional nutrients. You can simply add cooked rice and potatoes, yogurt, cereals, or any solid diets available in the market. Avoid any artificial or additive ingredients. What Equipment Do I Need To Start Feeding Ducks? Bread contains no beneficial nutrients for your ducks. Sugar and carbohydrate will make your ducks overweight and not healthy for sure. Besides, vitamins and minerals are absent in most bread. The idea is not to make your ducks fat but providing proportional and balanced nutrients. Greens are good, but not the spinach. It’s due to the fact that the spinach will capture the calcium intake from the digestive system. This can cause more serious health problem including binding issues in female ducks. Chocolates should be put away from your ducks as they’re toxic and poisonous for your ducks. Avoid such salty and sugary foods, they’re actually harmful to your ducks' health. Orange, lime, grapefruits, and other fruits with high acidity should be excluded from your ducks diet as they generate digestive system problems. You can simply include the eligible fruits previously mentioned in the diet of your ducks. Ducks are unlikely to be the target of any poultry disease, maintaining their diet is actually the crucial way to keep them healthy and growing as expected. You might have to differ how you feed the baby ducks and adult ducks. Keep the diet balanced and proportional. Treats and supplements are advisable in smaller amounts to support the growth and health. Remember to give your ducks lots of love and they will grow to be strong and live long lives!